Stephen O. Smith began his title and land experience in the mid-1970’s with his father, Robert O. Smith in Shreveport, Louisiana. In 1978, his career pursuits led him to Ruston, Louisiana where his 35 years of being an independent landman began in 1980 with Gene T. Oliver & Associates out of Lafayette. By early 1981, Stephen O. Smith and Associates was formed with its successor, Hunter Energy Corporation, being formed in July 1989. Early on when working with his father, Stephen learned the meaning of hard work thru long hours and that certain "old school" ethics were a must in the land services industry. 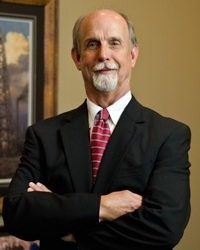 Over the decades, Stephen has worked in most of the oil and gas producing states for many large public and private concerns along with numerous smaller independents located in Houston, Dallas, Shreveport, Tulsa, Oklahoma City and Denver. Over those decades, due to involvement with many industry partners, Stephen became more and more involved in projects that required his personal expertise and knowledge of how to accomplish the land services needed from the time a geological idea was approved to the point of revenue distribution. With the help of his son, Hunter, Hunter Energy Corporation manages projects from the Bakken down through the Mid Continent to the gulf coast for what we feel are the best clients in the industry. Good working relationships and trust are the key to having productive and beneficial projects and we take pride in making sure we communicate with our clients and they know that trust is not an issue. A native of Shreveport, but with having been in Ruston for over 37 years, Stephen considers Ruston his home. Stephen is blessed to have three (3) children and his best friend and wife, Donna, who have been further blessed with eight (8) grandchildren. In his spare time, Stephen enjoys working and hunting on his farm and second home near Memphis, Tennessee, travelling with his wife Donna, and spending time with his family and friends. Following in the footsteps of his grandfather, Robert O. Smith, and his father, Stephen O. Smith, Hunter Smith began his career as a field landman with HEC in the Summer of 2005. Since that summer, Hunter has been a vital part in growing HEC from an Ark-La-Tex based land shop to a country wide full land services company. Promoted to Vice President in 2010, Hunter continues to believe in the practice of old school work ethics while allowing new technology and new land practices to continue to help HEC grow. 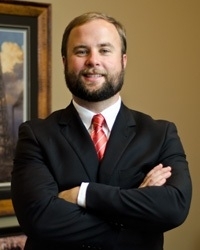 Now, Hunter spends majority of his time, managing projects from the Bakken Shale in North Dakota down through the Mid Continent and onto the gulf coast for the best clients in the industry, public and private. Hunter’s biggest goal is to continue the mutually beneficial relationships built by his father with HEC’s current client base while taking the steps needed to grow one of the most cost effective, loyal and accurate land services companies in the country. A native of Ruston, LA, in his spare time, Hunter enjoys hunting, fishing, cooking and spending time with his wife Becky and their three boys Lander, George and Jack.